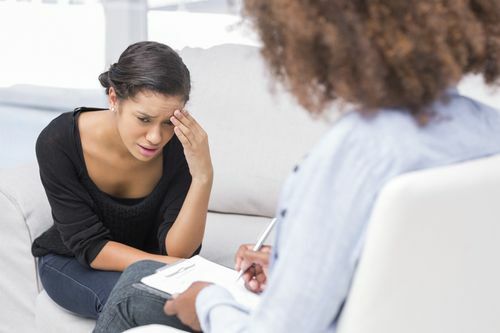 Psychotherapy - Learn how to deal with anxiety, depression symptoms, and much more. Effective mindfulness-based psychotherapy enables people to experience an enhanced sense of choice and therefore freedom from habitual thinking and behaviour. Sometimes clients would like to make changes to their coping strategies and behaviour, sometimes they need to learn how to shift their perception/perspective and sometimes they're doing both. Psychotherapy provides people the ability to 'wake up' from the usual 'automatic pilot' way to which we are all accustomed. When we step out of 'auto pilot' we gain more choice, more freedom and sense of relief/calm. Essentially, it enables us to make more informed decisions about our lives rather than reacting to old familiar, conditioned, knee-jerk (often unhelpful) reactions. Whatever the reason that brings you here, Angie truly believes that the ups and downs of life provide opportunities (and hidden blessings) to learn about ourselves and life in general. In addition to providing support, counselling and/or psychotherapy, she shows her clients how restore within themselves a sense of balance and well-being, and to cultivate a renewed awareness and sense of presence in their own lives. After a thorough assessment, she begins to work on the issues that are most important to the client. She helps her clients develop insight into how past experiences and thinking processes may be continuing to influence their well-being and to identify the issues that are most troublesome. Angie also helps her clients clarify their values, passions, strengths and resources so that they can be drawn upon to mobilize them in a positive direction. You can have peace of mind that Angie is a very caring, non-judgmental, compassionate and skilled therapist. Mindfulness for Health offers a complimentary 15-minute telephone consultation if you are interested in hearing more about our services. Recognize the signs of depression and learn how to deal with depression symptoms.